The Kitchen is where the magic always happens when it comes to food. From the cooking or food preparations to the dishwashing, this part of the house becomes really essential. An adage says that “The best way to the man’s heart is through his stomach”. And the best way to achieve this for women is through a good kitchen experience. Men would also cook and most ladies are pampered when they do. But doing this will require kitchen amenities, appliances and such. You need to have these in place along with the sink and things you need. It’s hard to move in an unorganized kitchen. 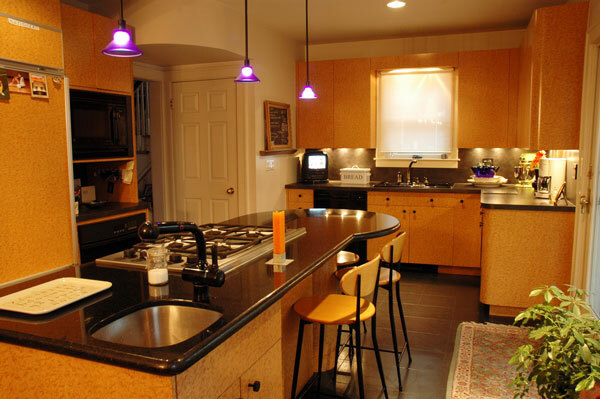 Everything must really have its own place and that’s the goal to reach in planning for a kitchen design. Aside from convenience, the organization of stuff matters. 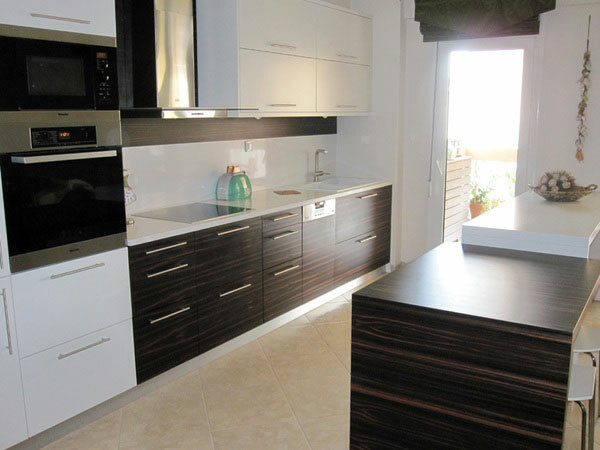 The kitchen will have to be spacious depending on the furnitures and appliances the owner would like to keep. 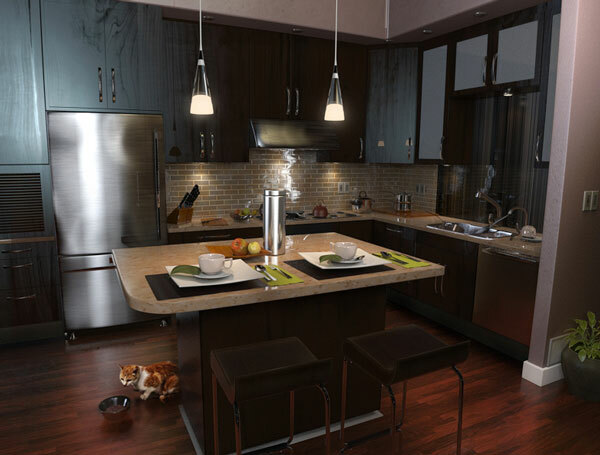 The photo shows a modern kitchen scene rendered using 3Ds max and Vray. The ambiance of the kitchen will have to be considered also. Some would prefer a well-ventilated area for food preparation. Above photo shows another angle of the kitchen design. 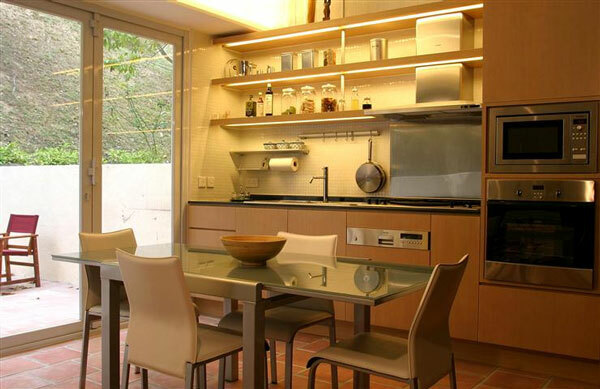 When the space is limited especially for pads or condominiums, a dining table for two becomes an addition. 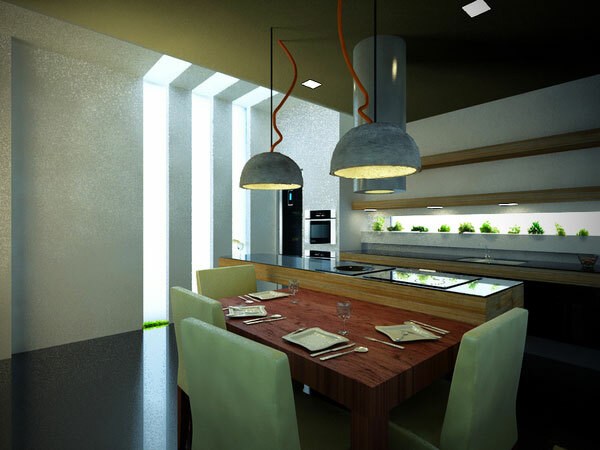 This is a kitchen scene taken from Evermotion Archinteriors. Design has been rendered using Maya 2011 with Mental ray. Kitchen colors may become an issue. 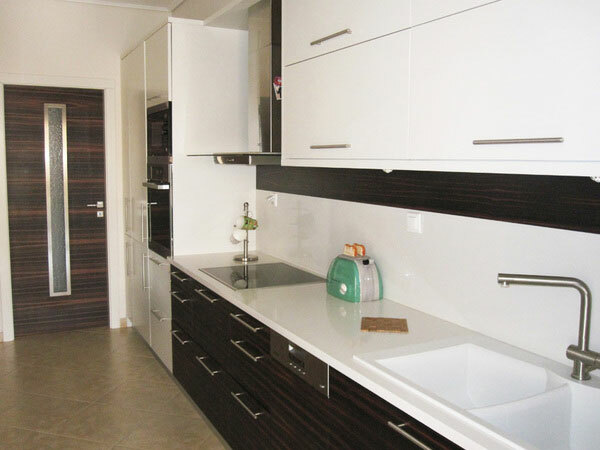 In the photo shown above, the wall cabinets’ doors are made of glass and looks elegant too. The cabinets below the sink are simply white. 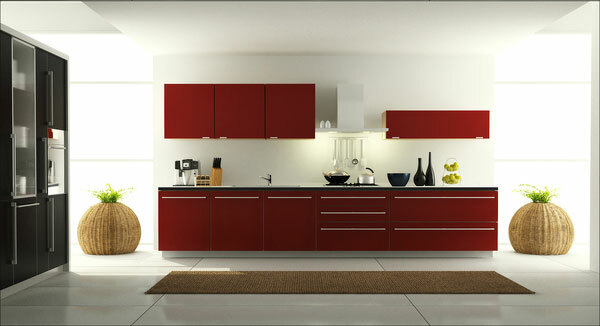 This kitchen design looks nice too with wood as cabinet doors painted red. 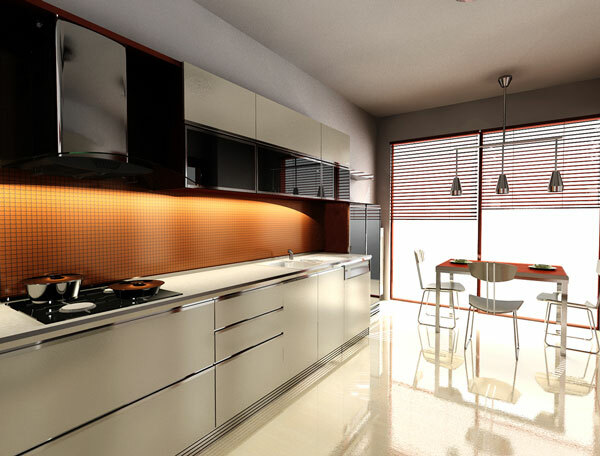 This kitchen design shows the furnitures in place that could be good for desired kitchen. 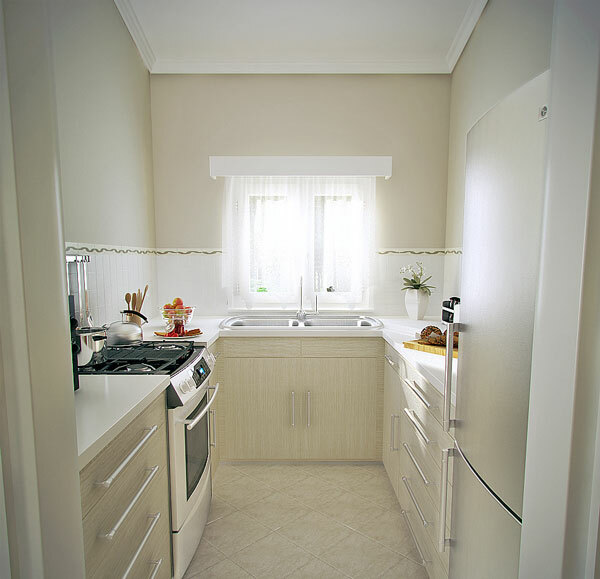 The photo shows the way to kitchen’s back door which can be an option too especially for country-themed kitchens. 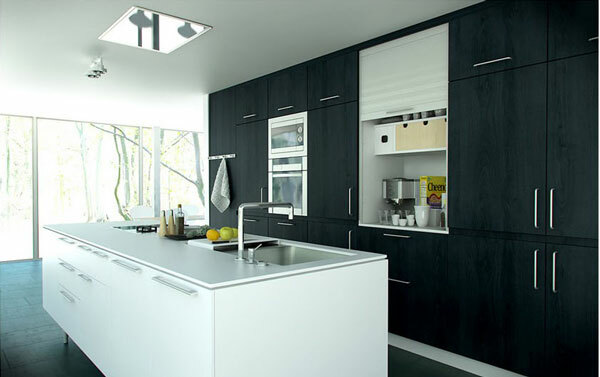 The use of ebony wood in this kitchen design is shown. There’s nothing much to worry when there’s too limited space if one wants to have a kitchen. One can still move around and just make sure that kitchen stuff are placed in an organized manner. 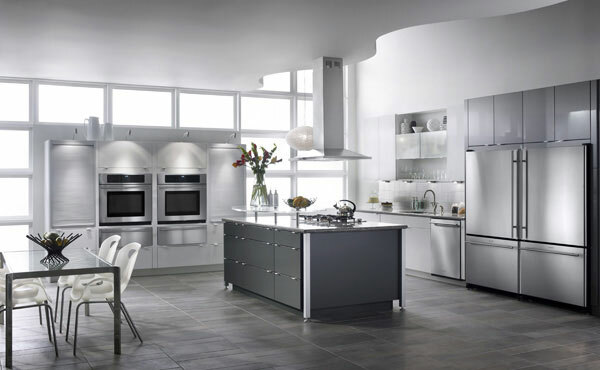 Appliances are limited in this type of kitchen design. 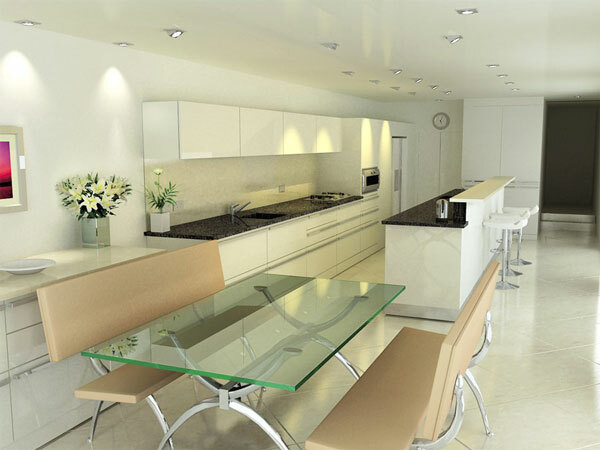 The lights bring out the best in your kitchen design even when you have just chosen an intimate white touch on it. 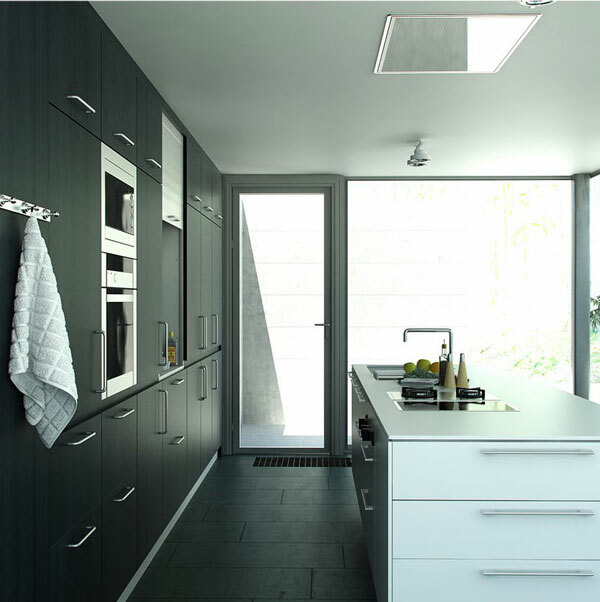 An eco-sustainable kitchen where large materials like wooden sleepers, organic touches like a garden and the maximization of natural light combined with the highest technology that De Dietrich provides has been used in this kitchen design. 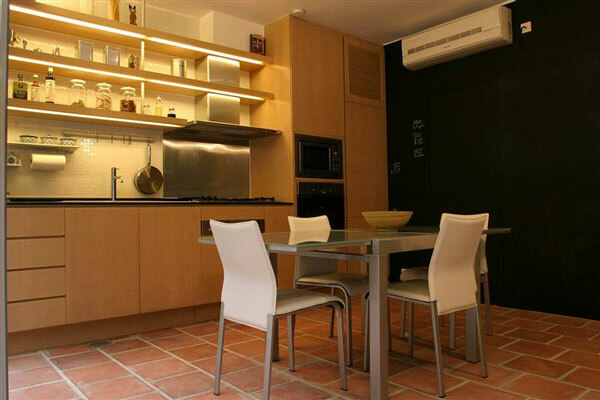 The photo shows an upclose angle of the kitchen design. 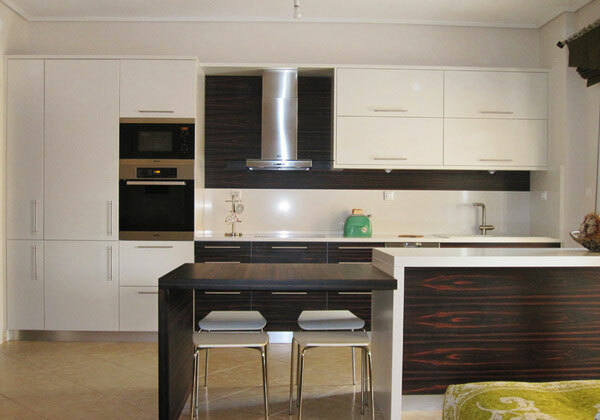 An example of a kitchen design where tone has been considered. The kitchen design has been inspired by Blacksmithstudios. 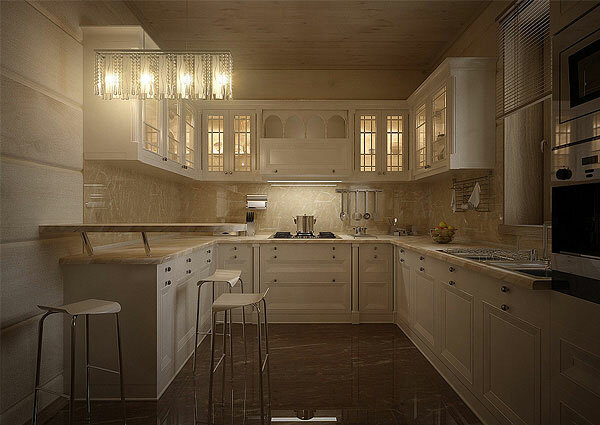 It was the client who provided the cabinet layout where the designer worked on its design including the colors and the lighting. 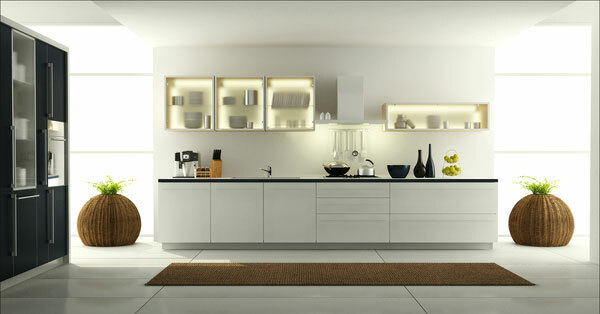 A kitchen looks as appealing as this especially when the area is maintained clean. A wide angle view of a newly finished kitchen. 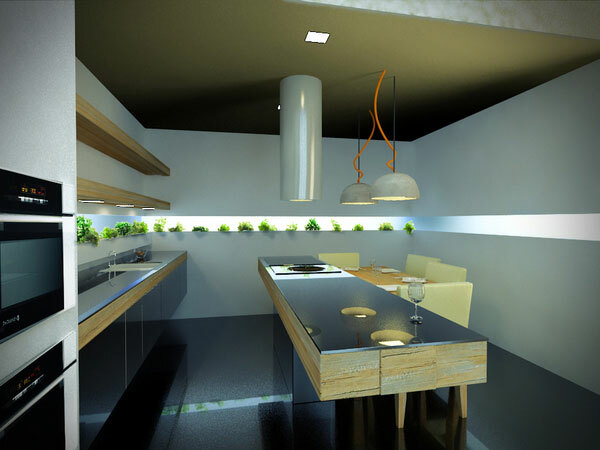 Here goes an example of a spacious kitchen with enough lighting since the sliding door is made of glass. 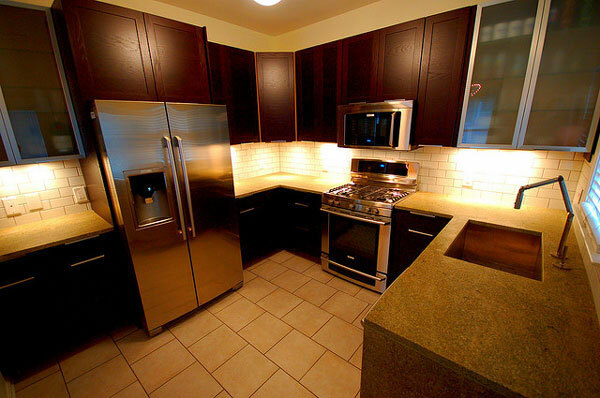 The photo shows another angle of the kitchen design. 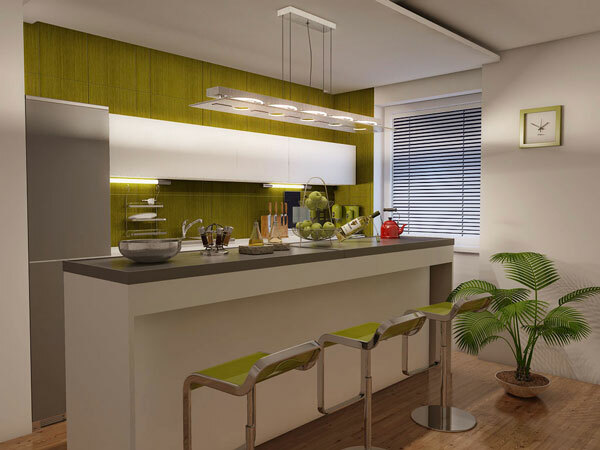 There are just so many Kitchen Designs you’ll come across with but it’s still best to consider the many factors that could affect the ideal style you have been craving for. It could take time, money and effort to finally finish the conceptualization but it’s worth it. After all, a kitchen is the key to a healthy living. 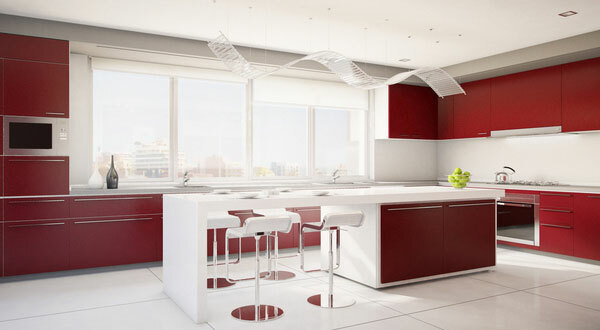 Have you come across a kitchen design lately?